← Who invented … Caesar salad? 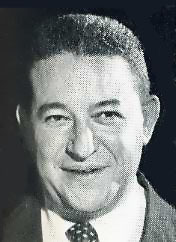 Established following Repeal in the 1930s by the Gruber brothers, Lester (shown below, 1955) and Sam, it soon became a magnet for business executives, celebs passing through Detroit, and power elites of all stripes. Its attractions were many, including evening entertainment, a fine wine list, and fantastic concoctions from the bar. (Absinthe anyone? See 1945 drinks menu below.) Its chefs, among them Eddie Dobler, “Pancho” Velez, and Jimmy Schmidt, were known for their preparations of freshwater perch and whitefish from Michigan’s lakes and rivers as well, of course, for beef dishes aplenty. What strikes me from the vantage point of 2009, as I look at recipes and depictions of popular dishes at the Chop House, are both the food shortcuts employed and the richness of the ingredients used, characteristics which mark it as a mid-20th century American restaurant. It was typical of the times, I know, but it still surprises me that a restaurant with sky-high prices (easily running up to $50 a person for food alone in the 1970s) would bake carrots with “maple flavored” syrup, stir onion powder into mashed potatoes, and dissolve chicken bouillon granules into their watercress soup. 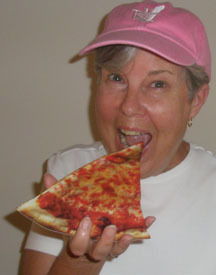 As for fat and cholesterol, the phrase “the better to kill you with, my dear” keeps running through my mind. Good thing those power lunchers had strong metabolisms. Either that or they needed to chop wood after a meal if they were to survive too many drinks like “the hummer” (ice cream, Kahlua, white rum), or eat too many Roqueburgers (beef patties containing Roquefort cheese, butter, and cognac) or corned beef hash topped with crumbled bacon and Parmesan cheese. Still, even if it did shorten the lives of some auto execs I have to salute a restaurant which itself survived for over half a century. My dad, Jose Rangel (little Joe) worked there late 60s early 70s. Head busboy. I remember him talking about Jimmy Schmidt a lot. Dad was well liked when he worked there. Still have autographs he brought home to me signed on the backs of Reservation cards! Good memories! One of our favorite restaurants. Used to go there once a week when working downtown. Still have my portrait done by Hy Vogel. The only place to go for special occasions & to take out of town guests. Many beautiful memories & Hummers! My mother in law’s father was Chef “Pancho” Velez for 38 years at the London Chop House! My husband and I were visiting from Texas and we all went to eat there tonight…brought back many fond memories! Does it look the same as it did? I believe we just bought his old house in RO! It is nice to know a little bit about the previous owner and I would love to know more. The neighbor said he always drove a big Cadillac 🙂 We have not been to the restaurant but we will indeed take our family there soon! I am referring to Mr. Velez. I may not have replied to the right comment! Does anyone have a site with photos from the sixties of the London Chop House? My Dad worked there at that time. Jose Rangel — think they called him Little Joe. Our family printing business (Handy Printing) did almost all of Lester Grubers printing, 1950’s – 1990’s. We printed their lunch and dinner menus everyday, so the waiters never had to tell a customer that they were out of an item and also to post the fresh, flown in seafood. For a young man in the printing business it was quite the pleasure doing his work and hearing all the gossip about Detroit’s elite that dined there. Interesting — I bet there was quite a bit of good gossip! Do you have any of the old menu’s from the 60’s or 70’s. Would love to have one. We went there about 3 times per week with the advertising crowd. Mercury Retropolis, a vintage store in Harper Woods, MI, acquired a large number of HY Vogel caricatures that lined the upper walls of the London Chop House in the above picture. I also have fond memories of the Chop House. I lived in Detroit from 1942 until the late 60’s. Every Saturday night we would go to the Chop House or Caucus club. I think it was the only club where you could dance and dine. I remember the Chef Pancho, because my husband was in the food business and when he got something special he would send it over to Pancho and he would prepare it for us on Saturday night. webpage! I personallywill certainly wind up being back significantly more often. Does anyone have an old menu from the 60’s or 70’s they could post online? I loved the french fried zucchini, does anyone have the recipe? 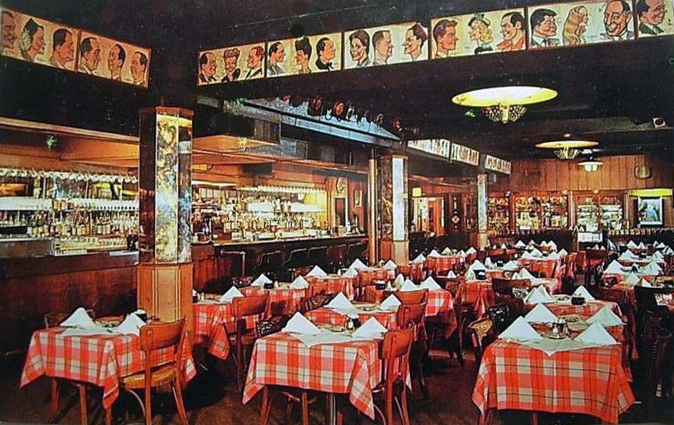 My husband and I dined at the Chop House from 1965 thru 1975 with the advertising crowd almost 2 – 3 nights per week. Loved the memories and food and fun. What a great place it was. In 1961 I was the String bass player in the Living room of the Caucus Club with Bobby Laurel and Ben Appling on Drums. In the back room was the great piano player, Matt Michaels. We also worked the Chop House across the street and we have great “Gruber” stories to tell. In 1963 Matt was offered the job of Musical Director of the new Playaboy Club down the street and he left the Caucus Club to take it and hired me and Art Mardigian on drums where we stayed until 1970. Pls. contact me at jkgalway@gmail.com. I am doing a book on the LCH and would love to talk to you! Would love to chat, my dad was a food broker in Detroit and took us to The London Chop House a lot.. my room mate after college owned the Fox and Hound…I am an Executive Chef now….. The Chop House was THE place to be on a Saturday night. People would get dressed up to dine and dance to the music of Mel Ball. I was lucky to be a third generation Chop House customer, with my Hy Vogel picture on the wall with my father and grandfather. I was sad to see it close and I hope the new Chop House can capture some of that magic for a new generation of Detroiter’s. I was a customer of the London Chop House for many years. Every Saturday I would have lunch there across from “The General” and “The Counselor”. We all ate at the exact same tables every Saturday. Though I never knew their names, the General once asked me to come outside and tell me if I like the color on his new Rolls Royce — a vibrant orangey rust color. What’s not to like? The Counselor once proudly showed off his new Christmas argyle socks — lifted his leg almost table high. As a very young engineer in the auto biz, it was my one luxury every week. The Chop was the best. The Firehouse Clam Chowder is something I long for. I’ve never, ever found a recipe that comes close. Is there any way to get it? Would especially like to talk with dydan about jose reyes. But would love to talk to anyone who knew him he was a dear friend. Great to hear this. Jose Reyes was my grandfather and this article and comments are a touching tribute to him and makes me proud to be his granddaughter. Alexandra. Would like to talk with you about your grandfather. Can you reply to this and I will send you my email. Thank you! My husband gave me my diamond engagement ring at the London Chop House in 1970. We were so impressed with the personalized matches and the wonderful service and delicious food. I was a buyer at the JL Hudson Company and he was from St. Catharines ON. We are still happily married after 40 years and we have often thought of returning but I was disappointed to find it had closed as has the JL Hudson Company. The happy memories will live on always in our hearts! My dad (George Givas) worked at the London Chop House for many years. I remember going downtown, meeting up with him, sitting down for a Gold Brick Sundae, and then going to a Tiger game, sometimes even getting Mr. Gruber’s seats right behind the Tiger Dugout. My dad passed away a year ago, but he had many great stories. My dad also worked at the Chophouse from 1960 to 1974. He tells a lot of stories about it. He knew George Givas well and was sad to hear he passed away. He still has some menus and always talks about the famous people who came in. My Dad, Jose Rangel, (Little Joe) worked as bus boy then as head bus boy in the sixties. He too had lots of great stories. My grandfather, Al Woolf, was one of the owners of the Chop House and Caucus Club. If anyone is looking for history of the place my Dad and his cousin, daughter of Lester Gruber, are still around and would be happy to talk to you I’m sure. Thanks for posting some great history for the younger generations. I was good friends with Connie, Lester’s daughter. We went through elementary and High School together and I would love to speak with her after all these years. Do you know how I can contact her? Please let me know or please give her my email address. Thank you. Wasn’t there a piano player there at one time? Leonard Stanley played the piano there and also The Caucus Club and the Book Cadillac Hotel dining room. Yes…I knew of the the dinner plate. I worked for many years at the Caucus Club under my nickname, Shelley. It was a pleasure to work during the highlight of the years that the London Chop House and Caucus Club had. If the walls could talk. Jose Acevedo and I are living in Oracle, AZ now. He was the General Manager of both places for many years. The experience feels like many lifetimes ago. I bet you have some stories! We sure do have stories! It was a culture all of it’s own that has long since gone from the way we live now. I’d love to hear your take on why a restaurant like that is a thing of the past. I have tried to encapsulate the main differences I have observed through the years. I could really write a book on it. Service = anticipation of a need. This element is lacking in today’s restaurant environment. 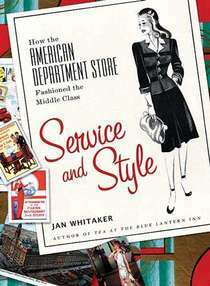 Once people chose service as a profession and approached it that way. Waiters would begin their professions as bus boys and learn from the masters of service that waiter’s once were. Elements of service and attention to detail have mostly been lost. Service begins at the front door and sets the stage for the ambiance that prevails throughout the dining experience. There are distinct differences between eating and dining. Restaurateurs, true gourmands, created an ambiance in the front of the house while letting the chefs mostly create the menu and run the kitchen (back of the house). Restaurateurs essentially created the whole theme and menu direction. Now chefs run their own restaurants with food as their focal point. 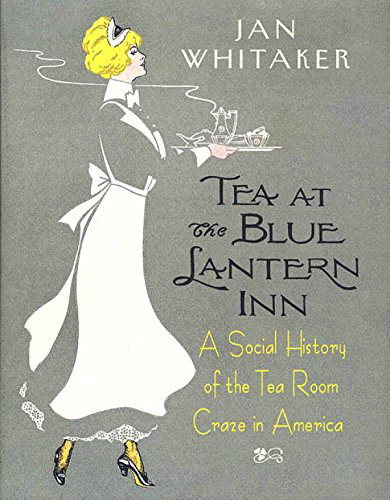 Lawyers and other business professions began buying restaurants and thinking they could run a restaurant like they run a social function in their living room. The “bottom line” became the only consideration. Managers running restaurants are mostly college grads with intellectual knowledge with some waitress/waiter experience but not being trained with the depth of knowledge of service one receives after learning from the “bottom up”. Customers are not the same. They would rather eat than dine and most don’t know the difference. Al (Albert J.) and Bertha were my parents. I just discovered this site and article. I would love to talk to you and Jose. Please send an email address to correspond. My email address is bedingham@gmail.com. I lived and worked in Detroit from 75-82…and loved the ‘Chopper”. A big time hang out for car guys and a lot of folks like me in the advertising biz. Jose was a one of a kind and really did make the best margaritas…on a hot summer night they were fabulous! The Caucus Club was a sensational place as well…not as glamorous as its sister across the street but just as good. In fact the two restaurants were connected to each other by a tunnel that ran under Congress Street. My best friend in college was the daughter of the man who was the head bartender at the Chop House for over 40 years. Shortly after we graduated, he died very suddenly. He was buried in his beloved bartender’s uniform and his funeral was like a Who’s Who of Detroit. Politicians and sports figures made a point to pay their respects to him. I think of him often and I still think he died too soon. He always talked about writing a book about his experiences and said he would title it “If Bar Rails Could Talk”. His name was Jose Reyes and he made the best damn margaritas in the world. He had a secret recipe that he never shared with anyone. He invented the Hummer and was responsible for giving a very young Barbara Streisand something to help her hoarse and sore throat on her first visit to Detroit to perform. His backyard pool parties were legendary – complete with mariachi bands! He was one hell of a man and the Chop House would not have been the hip place it was in its heyday without Jose’s unique presence. Sorry it took so long to see this comment! By all means quote me. Jose was a kind, sweet soul and I’ll always have a special place in my heart for him and his family. This man is my father. How can I get in touch with someone from his family? I understand this is probably a shock to some people. He passed away when I was six and I know very little of him.